From their first meeting, Mark Tanner of Incyte and our award-winning designer, May Fawzy, spoke the same design language! The 5,000sqft first floor at Q1, The Square, needed to be innovative, secure, practical and most importantly fun. Working with Curve on our new office design and fit was effortless. The team sought our opinions, values and views prior to recommending the most appropriate designer. 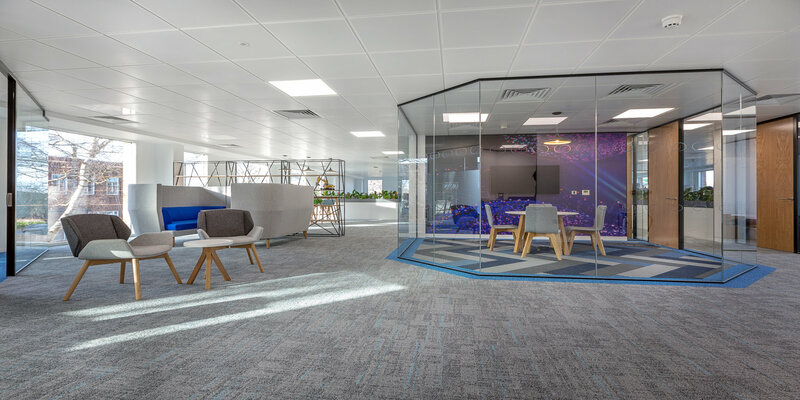 From the first concepts Curve provided the team were excited by the look and feel of the designs and the way they incorporated our space needs. 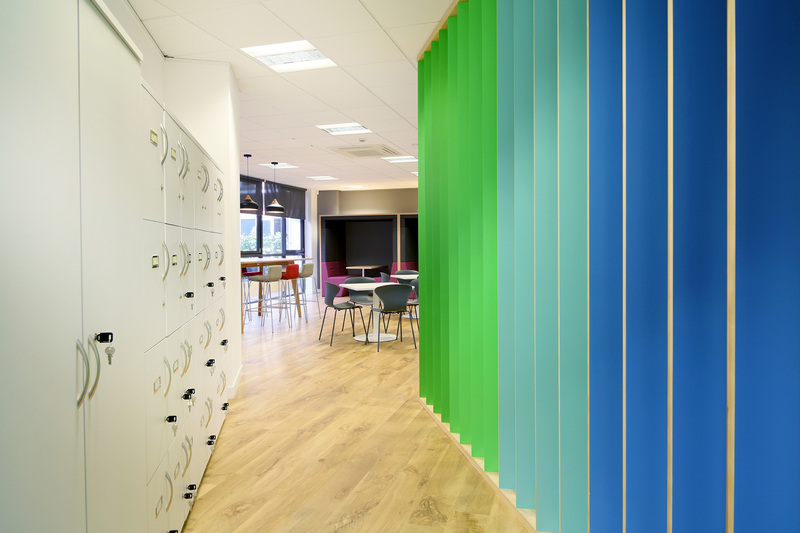 The fit out was delivered on time and budget with constant feedback on progress. We couldn’t be happier with the finished result and almost without exception when guests arrive for the first time at our office their first words are ‘Wow, this is lovely’. From start to finish a great job. 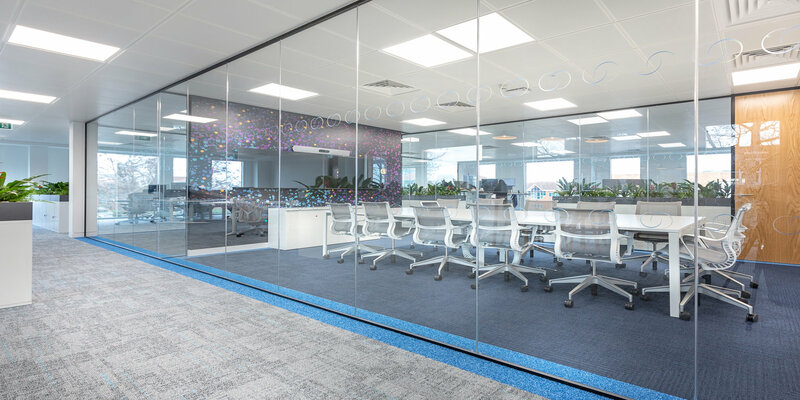 Over a period of six weeks Curve created a working environment that suited the needs of a successful and growing business. 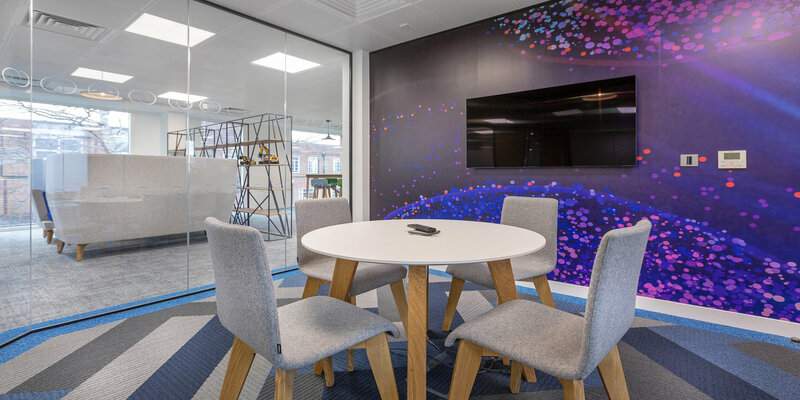 A central meeting hub was used as a focal point, with feature carpet and bespoke vinyl wallcoverings. 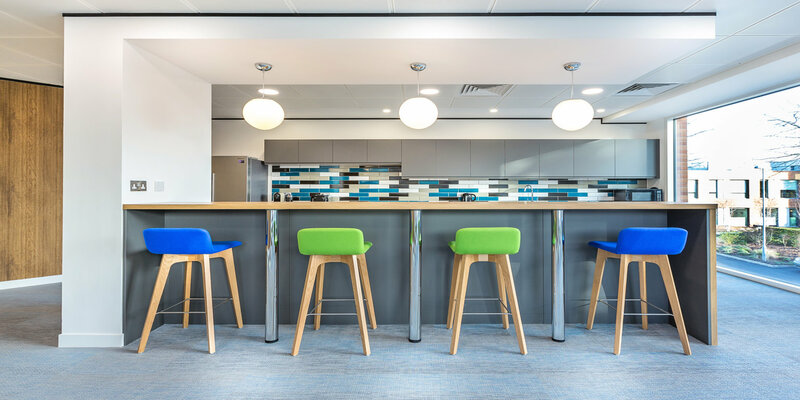 Teams using sit-stand desks throughout, design-led furniture and an enclosed breakout area with breakfast bar ensured employees have a comfortable yet dynamic workplace. 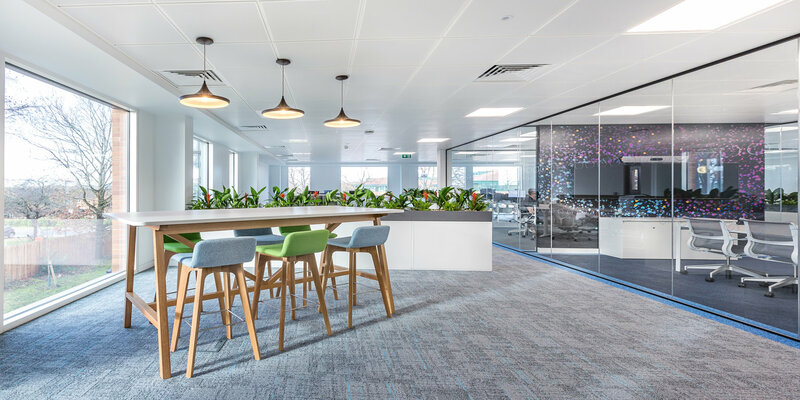 Result Collaborative and innovative, with scope for growth, Curve have created an environment that Incyte are rightly proud to showcase !